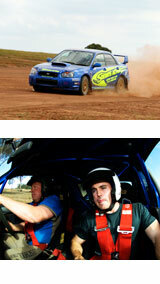 Rally Driving is an incredible Adrenaline Rush! 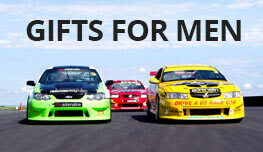 This is your opportunity to drive a total of 16 'Rally Practice Laps' in any two of the four cars on offer at the track. 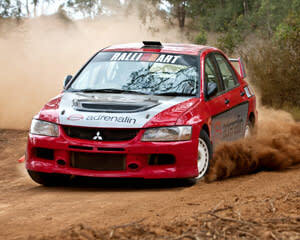 The No.1 Rally Driving Experience in Adelaide. 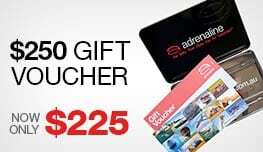 Take your choice of rally car from a fleet of Australian Rally Championship spec super cars, including the Subaru WRX STi, the Mitsubishi Lancer Evo, Toyota 86 and Subaru BRZ. This was a great rush. My wife gave this as Christmas presents to myself and my two sons and we had an absolute ball. Only thing was that after 16 laps we were just getting used to the cars and tracks and we gad finished. Next time would be a half day. I had an awesome time!! The staff were friendly and really knew their stuff, and the opportunity to purchase video footage is an excellent idea. My wife loved her hot lap too! Great day out - cheers! Great time, thank you all. The day was great. I was able to learn more about another sport & have a lot of fun at the same time. Overall was a really great experience - the instructors were fantastic. The only down side unfortunately was that the taping of my second lots of laps and the hot lap had no sound - in fact they almost looked like they were recorded in fast forward -but never mind, these things happen.